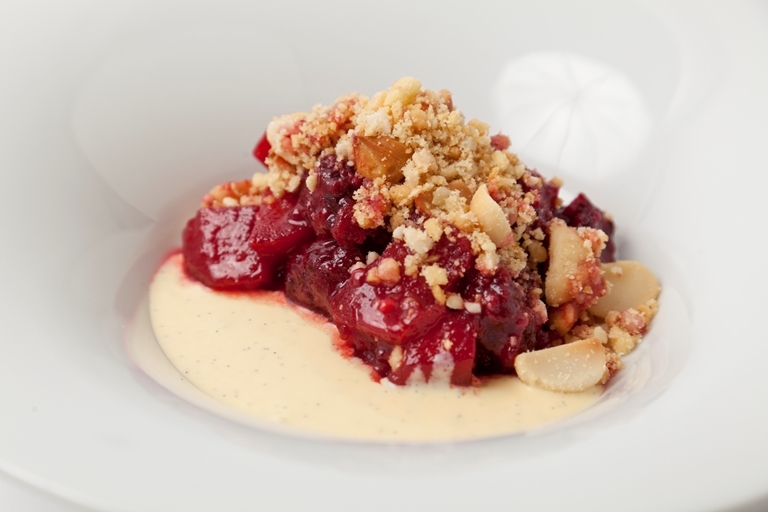 Chef Adam Gray elevates this classic apple and blackberry crumble recipe with a macadamia nut and vanilla crumble topping. This British comfort food classic is best served with lashing of custard or cream. 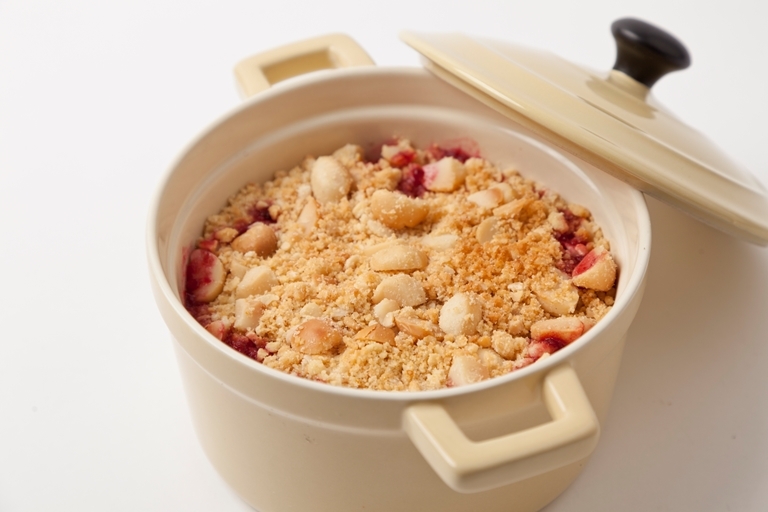 Spoon the filling into an ovenproof dish and sprinkle liberally with the crumble topping. Bake for 10–12 minutes before serving with hot custard, cream, vanilla ice cream, or all three!